A large crowd attended the Yass Music Club’s first concert of its 2014 subscription series. It was a great evening of Big Band music which all enjoyed and delicious supper was served by the ladies of the Berinba P&C. 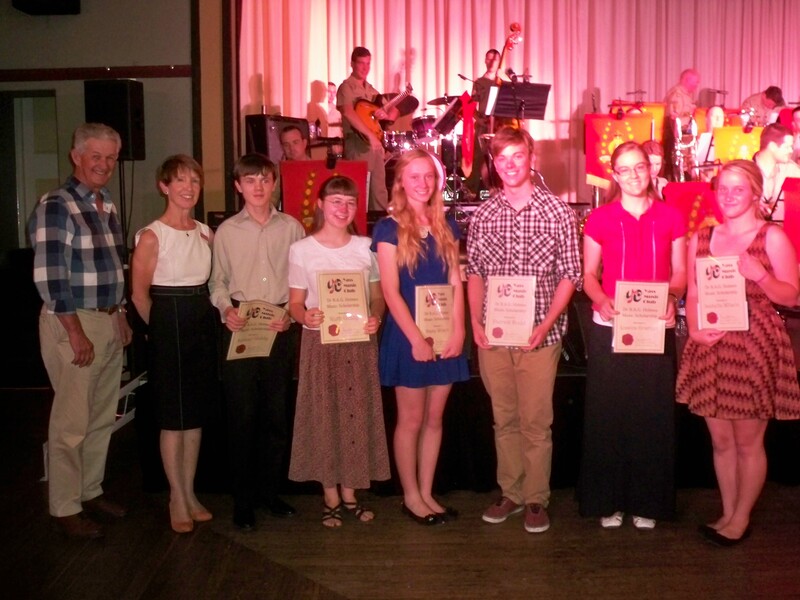 Left to right: Russell Hill (Yass Rotary), Ros Whiteley (Co-Ordinator – Yass Music Club), Sam Giddy, Ruth Giddy, Dana Wilson, Patrick Dodd, Jessica Granger, Bella Wilson. Absent – Rowan Phemister.